The Virtual Sink: But....That Would Be Awkward For All Of Us. 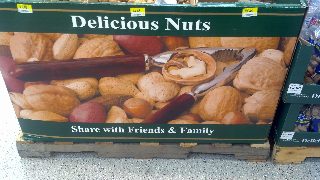 There is little more disturbing during the holidays than running into a display saying "Delicious Nuts: Share With Friends & Family". No, thanks. Let's keep our nuts to ourselves.